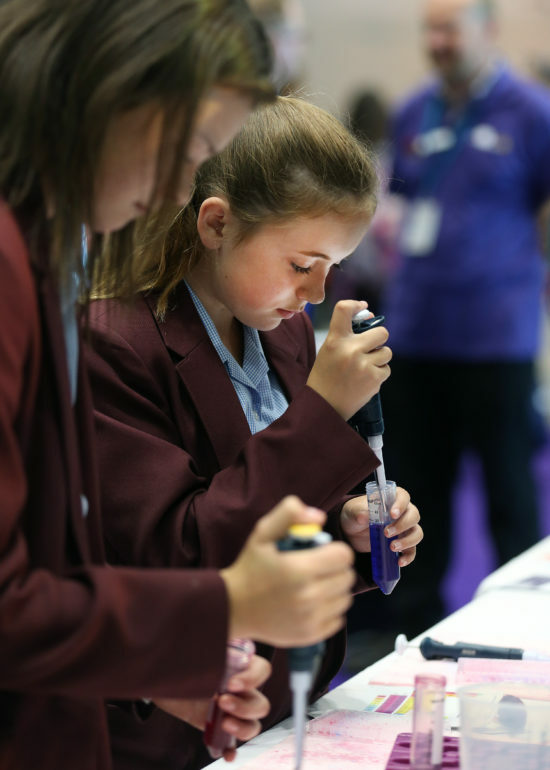 Big Bang North West & AstraZeneca celebrate 5 years of inspirational STEM for schools! We were overjoyed to have AstraZeneca (Liverpool) return as our Headline Sponsor for The Big Bang North West 2018. 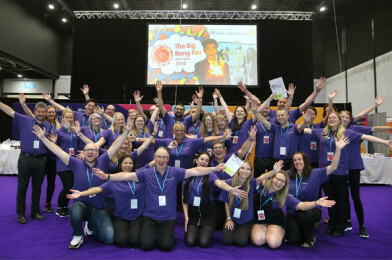 This is the fifth year they have sponsored our flagship event and we celebrated our collaboration with the BIGGEST AstraZeneca exhibit and our BIGGEST event to date – 7000 attendees inspired! 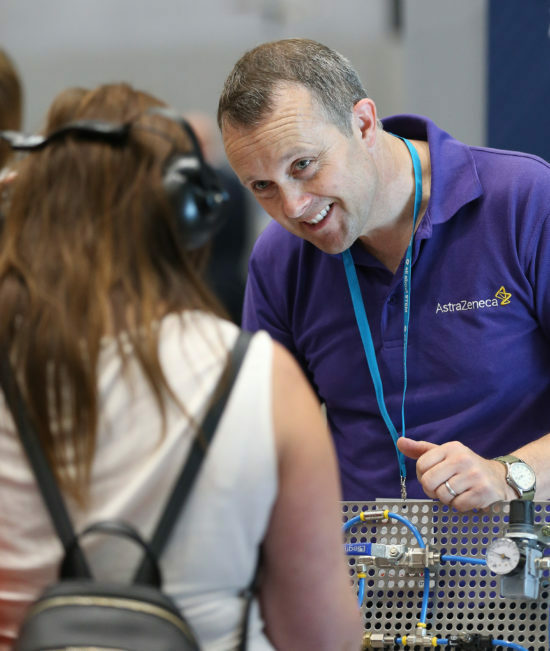 The Big Bang North West is organised by All About STEM and is part of a programme led by EngineeringUK. 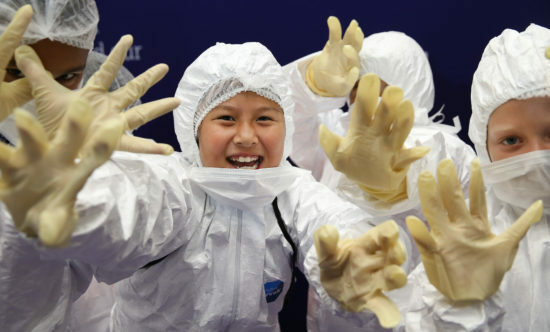 Big Bang events enable young people to discover the exhilarating and rewarding careers in Science, Technology, Engineering and Maths via fun, hands-on experiences. As Headline Sponsor, AstraZeneca offered an amazing selection of activities including augmented reality, thermography and ultrasonics. There were fun games to enjoy too, did you Fish for Viruses or Beat the Raptor? 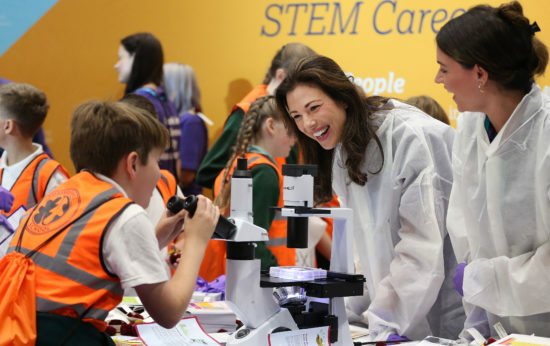 Visitors packed the AstraZeneca stand to experiment and explore the health and medical exhibits, learning more about lifesaving medicines and vaccines. There was also the chance to ‘suit up’ and meet real scientists, technicians and engineers! Along with The Big Bang North West, AstraZeneca also sponsored The Big Bang UK Young Scientists & Engineers Competition and Young Scientist of the Year Award. 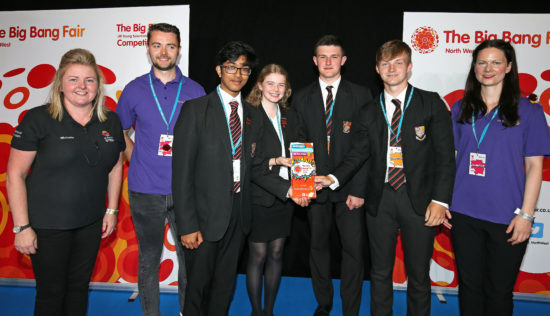 Congratulations to the young scientists of Birkenhead School who won AstraZeneca’s accolade and received a place in the National Finals at the Big Bang Fair in Birmingham. 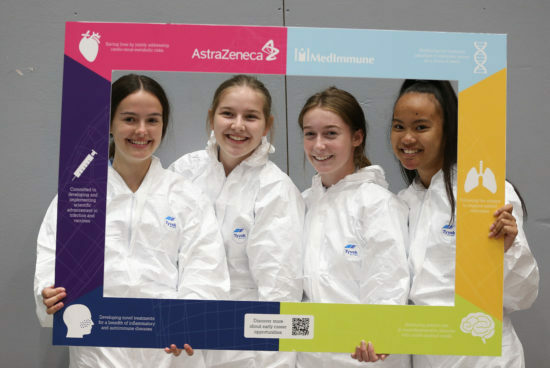 On winning their award, entrants also received an invite to visit AstraZeneca to spend a day in their labs and discuss their winning project with real scientists! AstraZeneca is a global pharmaceutical company with a major UK presence. Through innovation and collaboration they work to achieve better health for all. In addition to supporting the science and innovation base of the UK, they also make a significant economic contribution in this country. As well as having a large research and development organisation, AstraZeneca have more than 200 active partnerships with academic, research-funding and charitable organisations around the country. They also offer significant educational opportunities for young scientists. AstraZeneca Liverpool employ over 360 people at their biologics site at Speke, Liverpool, which has unique facilities to bulk-manufacture the nasal spray influenza vaccines Fluenz. Fluenz is an important part of the Government’s extended childhood flu vaccination programme. We can’t thank AstraZeneca enough for their incredible support – STEMsational!